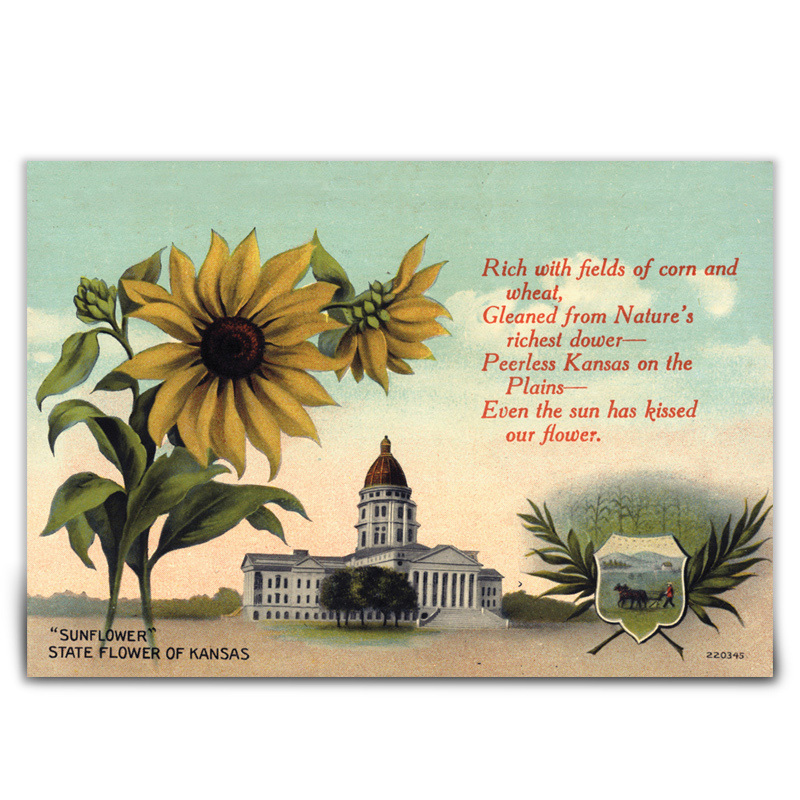 This print of a 1936 colored postcard shows the Kansas State Capitol in Topeka along with the state flower. The wild sunflower, the vibrant Helianthus, was adopted in 1903 as the state flower. Today the plant has become an important crop and a popular symbol of the state. The poem describes how nature has blessed the state with an abundance of crops. From the collections of the Kansas Historical Society, the print was produced for the Kansas Historical Foundation.